“Work” and “job” are not the same thing. One is an assignment to be productive in a particular way, the other is a position of security from which you can be productive (and get those assignments). Lots of people that don’t have jobs work full-time. They may even be paid for some of that work, but getting work is nothing like getting a job. I’ve noticed that my own interaction with the general public does not reflect the seeming downward trend of unemployment. When we get news reports, we generally hear about the official unemployment rolls as well as what employers have reported in gains or losses. What we don’t get is a clear picture of how our economy has morphed from one of family and financial security – like we experienced in the 50s – to one of frightened desperation. 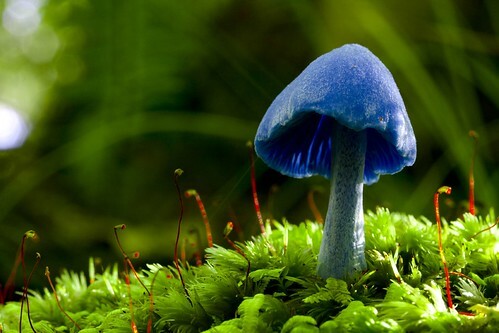 Mushrooms are amazing; we owe our lives to these amazing organisms. Mushrooms hold our topsoil together, help us sequester CO2, feed us, and offer a wide array of uses from food to medicine to manufacturing. A team of scientists at Yale have found a species that can eat plastic. This should have made major headlines, it’s the best news I’ve heard for our planet in a long time. I had to share. Check out the article from Yale Alumni Magazine here. It describes a trip to the jungles of Ecuador where biological samples were collected. One of them was a fungus they identified as estalotiopsis microspora. Once back at the lab, the fungus was isolated and seemed to have a healthy appetite for polyurethane even when fed that exclusively.